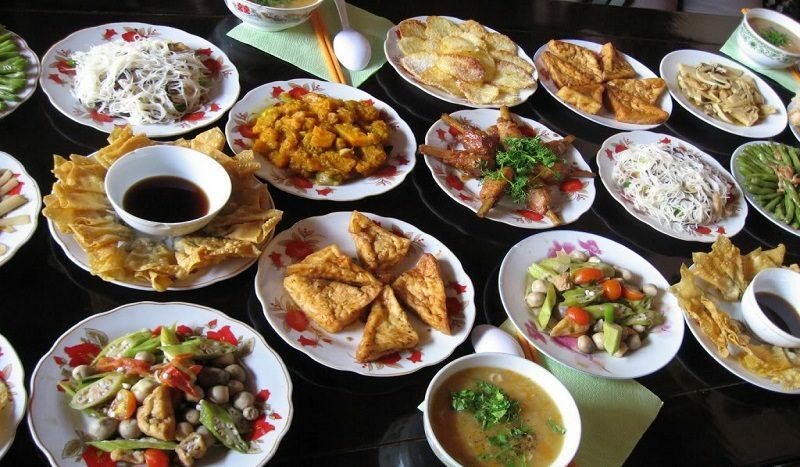 The best traditional Vietnamese dishes, from north to south. On a recent train ride from Hue to Hoi An, food was everywhere in sight. At each station stop, vendors rushed up to the windows proffering homemade treats: shrimp cakes, jerky, sticky rice. One vendor came aboard and walked the aisles, selling sun-dried squid. (An American traveler bought one, thinking it was a decorative fan.) In the bar car the train conductor and his staff spent the whole ride not collecting tickets but preparing lunch: cooking noodles, shelling prawns, trimming basil into woven baskets. Follow any lane in any Vietnamese city at any time of day and you’ll find some contented soul crouched over a bowl of broth or rice. Then again, if you lived in Vietnam, you’d eat all the damn time, too. 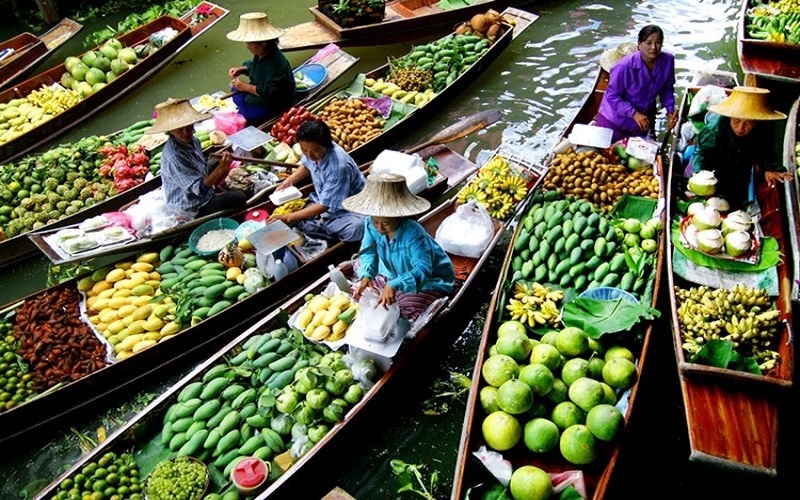 The food is beautiful to behold, if only for the colors alone: turmeric-yellow crêpes, sunset-orange crabs, scarlet-red chiles, deep-purple shrimp paste, and endless jungles of vivid green. 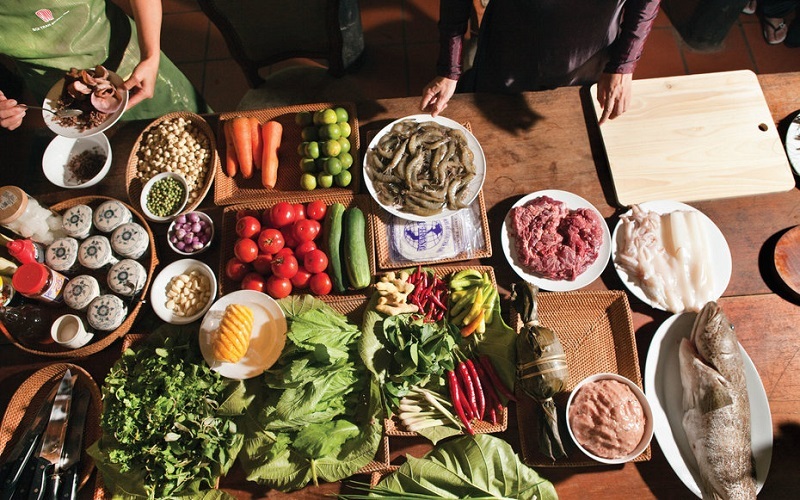 Vietnamese cooking is fresher, healthier, lighter, and brighter than, for instance, Chinese or Indian or French, three of its closest relations. Though it is often described as “honest” and “direct”—cooks resist fussy ornamentation (except in Hue; more on that later)—this is a cuisine rich with nuance, carrying a complexity that is all the more surprising for its being served in, say, a plastic bowl with a Tweety Bird logo, on a flimsy table on the pavement. Flavors and textures are deftly arranged so each note rings clear, from the piercing highs of chili paste and nuoc mam (fish sauce) to the bottomless depths of a stock that’s been burbling since dawn. These are tastes that sate, soothe, and just as often shock you awake—particularly the pungent greens and herbs that figure in almost every dish. After the wonder that is Vietnamese produce, the stuff back home seems like a recording of a recording of a cassette that was left out in the sun. I’ve spent roughly 100 days in Hanoi over the past 12 years, and I don’t recall ever once seeing blue sky. Not that I’d have it any other way. Like London or Seattle, this is a city that becomes itself under cloud cover. During those moist, moody afternoons, when mist hangs over the streets like smoke from a cooking fire, Vietnam’s gorgeous old capital feels more intimate than it already is. Even in the heat of summer, Hanoians favor cockle-warming dishes suited to far chillier climes. The most renowned of these is Vietnam’s de facto national dish: pho bo, eaten at any time of day but especially for breakfast. 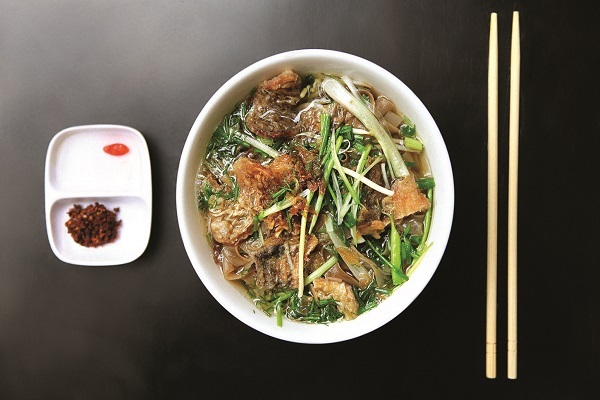 Taking root in an earthy, long-simmered beef broth—shot through with clove, ginger, and star anise—the soup is filled out with rice noodles and one or more varieties of raw or cooked beef, tendon, or tripe. 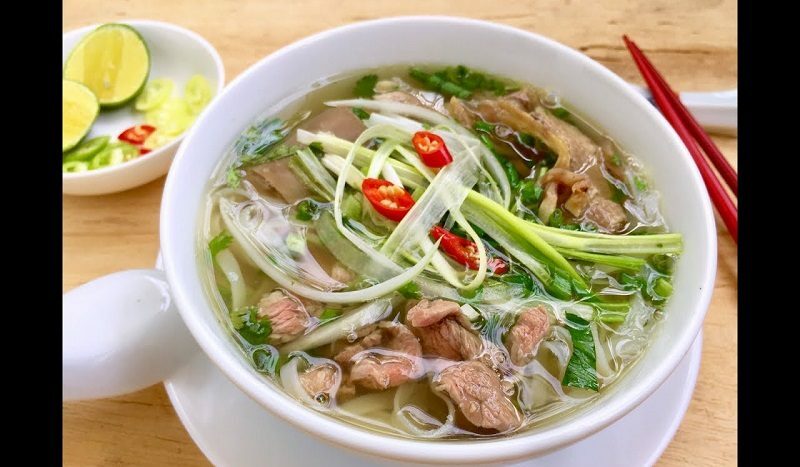 Southerners sprinkle fresh herbs and bean sprouts on top, but a Northern pho is generally unadorned, with only a few scallions and a bit of cilantro cooked into the broth and perhaps a squirt of rice vinegar. Pho Gia Truyen, on Bat Dan Street in Hanoi’s Old Quarter, doesn’t look like much from the outside—or from the inside, for that matter. The room has a clock, two fans, three bare lightbulbs, and a handful of communal tables. The only decoration is the food itself: hulking slabs of brisket suspended from hooks, a hillside of scallions on the counter, and a giant cauldron puffing out fragrant clouds of steam like some benevolent dragon. A cashier takes your money (about a dollar a serving), her colleague fills a bowl with noodles and chopped scallions, and a teenager with a faux-hawk ladles strips of ruby-red beef into the broth to cook for two seconds, then spoons it all into the waiting bowl. Half of Hanoi queues up for a seat, while others slurp their soup perched on motorbikes outside. All wear serious expressions, and eat in a silence that feels not joyless but reverential. The stock is so wholesome and protein-rich you feel yourself being cured of whatever might ail you, perhaps of anything that ever could. 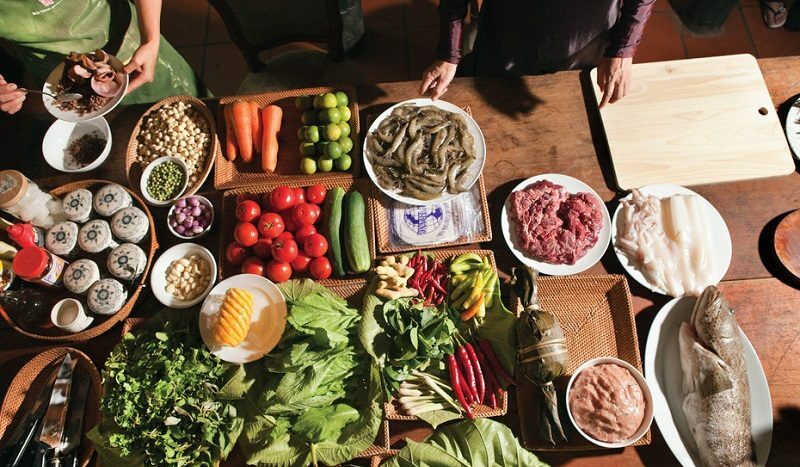 A proper restaurant culture, the sort with waitstaff and normal-size chairs, is still in its infancy here, but Vietnam has a long tradition of eating out—quite literally so. Western notions of indoors and out are reversed: at a typical Old Quarter house in Hanoi, the motorbikes are in the living room and the stove is on the sidewalk. Or you could make it easy and hit Quan An Ngon (locals call it simply “Ngon,” meaning delicious). The owner recruited an all-star roster of street-food vendors to cook their signature dishes in the courtyard of an old villa, added menus and table service, and watched the crowds pour in—not just foreigners but also well-heeled Vietnamese, who can’t get enough of the place. (There’s also a branch in Saigon, a.k.a Ho Chi Minh City.) The quality is excellent, the atmosphere convivial, and seats hard to come by after dark. Come for breakfast and the food is even fresher (and the cooks outnumber the patrons). Most of these dishes are traditionally served all day, so the morning menu is much the same. My ultimate breakfast: an order of bun cha (grilled pork in a marinade of sweetened fish sauce with a side of rice vermicelli) and a bowl of banh da ca, a fabulously tangy fish soup from Haiphong laden with chunks of tilapia, chewy, fettucine-like banh da noodles, dill, scallions, and the magical rau can (a woody stalk with a strong, cedary bite). Speaking of fish, Hanoi cha ca is one of the great Vietnamese dishes, a note-perfect blend of raw and cooked ingredients, assertive and delicate flavors, with a DIY element as a bonus. It’s often associated with a century-old Hanoi institution called Cha Ca La Vong, which is very good, indeed, though I prefer the more peaceful surroundings and local clientele of its rival, Cha Ca Thanh Long, a few blocks away. The firm white flesh of the snakehead fish is first marinated in galangal, shallot, shrimp paste, and turmeric, and briefly seared on a grill. It’s then brought to your table in a large pan with bowls of shaved scallions, crumbled peanuts, chiles, and a hedgerow of bright-green dill. A tabletop brazier is ignited. This is where you come in: tossing everything into the sizzling pan, sautéing the fish to a golden brown, then laying it onto a bed of cool vermicelli, with a few more dill sprigs for good measure. Add a dollop of supremely funky shrimp paste if you dare (and you should). For all their obsessive eating and snacking, Hanoians tend not to linger at table. Most finish dinner in seven minutes flat. Where they do while away the hours is at the local café. Hanoians drink a lot of coffee: thick, rich, tar-black stuff, sometimes cut with condensed milk but often taken straight. The bohemian soul of Hanoi’s café scene is Nang, a 1956 landmark on Hang Bac Street whose 74-year-old owner, Ms. Thai, still brews nearly every cup herself. (Her father-in-law, who lived in Paris for a spell, taught her how to French-roast the beans.) Ms. Thai’s blend, sourced from Dong Giao, in the northern Nghe An province, is strong enough to power a 125 cc motorbike. The café is only eight feet wide, with tiny wooden tables and tinier wooden stools, occupied all afternoon by young Vietnamese men sporting the currently in vogue greaser look: slicked-back hair, black leather jackets, skinny jeans, white pocket T’s with single cigarettes poking out. The place looks exactly as it must have in 1956—a perfect microcosm of a city that’s always had a tenuous relation to the present tense. Hue is a slow-burn town. While Vietnam’s former imperial capital is certainly beautiful (the flame trees lining the boulevards could make a grown man swoon), it’s also sleepy and standoffish, more village than city. There’s an upside to this: a short bike ride out from the center will bring you into unkempt wilderness, where only cicadas break the silence. But even downtown isn’t much livelier. And though Hue figures into plenty of travelers’ itineraries—for its magnificent Citadel, pagodas, and imperial tombs—many find it tough to crack. In all my visits I never really “got” Hue, until I met Vo Thi Huong Lan, a friend of a friend who offered to show me its elusive charms. 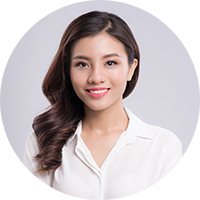 Lan is something of a professional enthusiast (her three favorite words: “I love it!”) and is positively mad for her hometown. “They say Hue is a place you leave, so you can miss it when you’re gone,” she told me, “but I never want to live anywhere else.” Most of all, she’s crazy about the food. Hue is renowned for its elaborate cuisine, developed by the skilled cooks of the royal court. Legend has it that the Nguyen kings, who ruled a united Vietnam from Hue in the 19th century, refused to eat the same meal twice in a year, so their cooks came up with hundreds of distinct, visually arresting dishes (most using the same few dozen ingredients). This tradition endures in the local craze for dainty, flower-like dumplings and cakes such as banh beo, which aesthetically owe much to China and Japan. Banh beo is an acquired taste (“I love it!” Lan says), a bit too gluey for my own; it may be the only Vietnamese food I don’t enjoy. 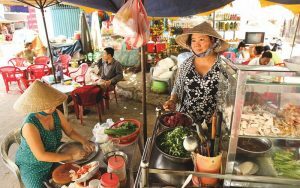 In the leafy enclave of Kim Long, we lunched at the open-air canteen Huyen Anh, which serves two dishes only: banh uot thit nuong and bun thit nuong. The former, dim sum–like ravioli stuffed with grilled pork, are terrific. But it’s Huyen Anh’s bun thit nuong that sums up everything that’s simple and delightful about Vietnamese cooking. Bun means noodles—in this case a bowl of vermicelli—that arrive still warm and soft, with a moistening drizzle of nuoc cham (fish sauce and lime juice infused with clove, chili, and garlic). Shaved banana blossoms, shredded lettuce, bean sprouts, peanuts, cucumber, and green papaya provide a textural counterpoint, while sprigs of cilantro and aggressive peppermint fill in the high end. The crowning touch: glistening slices of char-grilled pork. At home in New York I used to order bun thit nuong twice a week at our local Viet kitchen; alas, Huyen Anh has ruined me for anyone else’s. The highlight in Hue, however, was a three-hour dinner at Hoang Vien (“royal garden”), opened in March by the painter and chef Boi Tran in a restored French-colonial house. In an open-walled dining pavilion, long teak tables are set with vases of yellow roses: an ideal setting for a modern take on Hue cuisine, presented with appropriate flourish, like Vietnamese kaiseki. “Shrimp with five tastes” was reminiscent of Thai tom yum koong,with a single, plump pink prawn swimming in a consommé spiced with Kaffir lime leaf, lemongrass, chili, shallot, and ginger. Each flavor came through brilliantly. Hoang Vien’s nem ran (pork, shrimp, and mushroom spring rolls) were shrouded in wispy golden threads of fried rice paper and accompanied by a salad of rose petals. Across five more courses, all presented on exquisite china from Bat Trang, the famed pottery village outside Hanoi, Boi Tran and her chefs took the precious formality of Hue cuisine to a new place, where the pleasure of pure flavor, not mere visual dazzle, was primary. It’s true that the quaint, narrow streets of this fishing village turned backpacker mecca turned resort haven are often choked with tour buses. But Hoi An still evokes Vietnam’s long-ago like few places can, especially at night, when the lanes are finally quiet and silk lanterns glimmer like rainbows off the river. 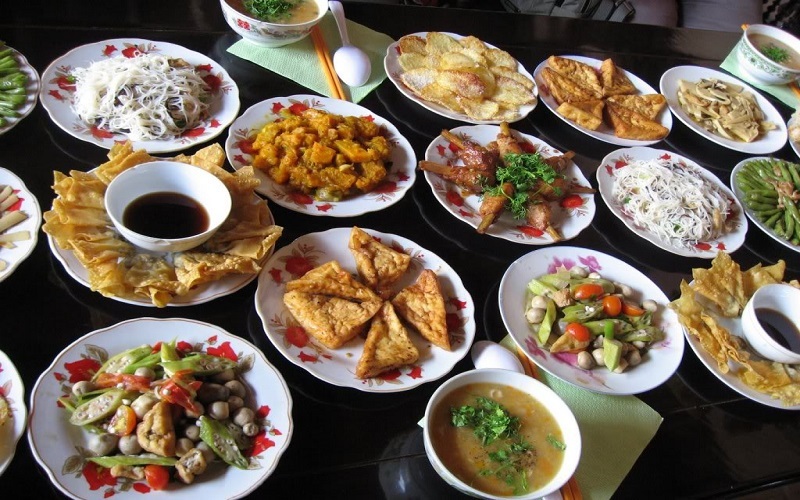 Like Hue, Hoi An has a fine culinary tradition, including some dishes that are only made (or made well) here. One is the soup known as cao lau, whose thick noodles are cooked in water from one of five local wells. Any other water, people tell you, just won’t work. Because Hoi An is still a town of fishermen—at least those who haven’t taken jobs at luxury hotels—it’s a fantastic place for fresh seafood. On nearby Cua Dai Beach, barbecue restaurants have set up tables in the sand; the best of the lot is the amiable, family-run Hon, whose muc nuong(grilled squid) and ngheu hap (clams with ginger, lemongrass, and fresh mint) are both ridiculously good. 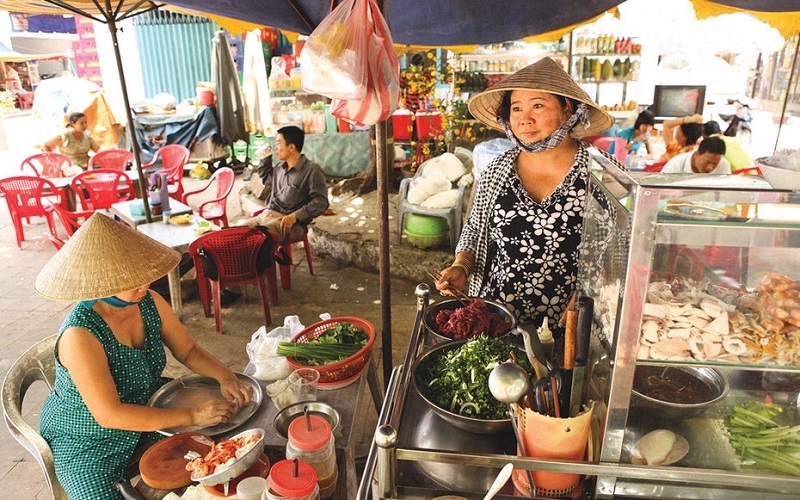 The doyenne of Hoi An’s food scene is Vy Trinh Diem, whom everyone calls Ms. Vy. The 40-year-old chef owns four restaurants here, the flagship of which is Morning Glory, a bustling two-story house in the heart of the Old Town. Morning Glory is a tourist haunt, and proudly so. It’s also the best place in town to sample Hoi An cuisine. While you can get a very good cao lau from stalls at the Hoi An market, Morning Glory’s rendition is endlessly richer: a tangy broth spiked with anise and soy sauce, sprinkled with chives, mint, and cilantro, and topped with a crumbled rice cracker. In the center are juicy strips of xa xiu (soy-simmered pork, pronounced sa-syoo, as in the Chinese char siu). Ms. Vy’s cao lau noodles are so toothsome and chewy you’d swear you were eating soba, not rice noodles. But what Hoi An is mainly known for is banh mi. 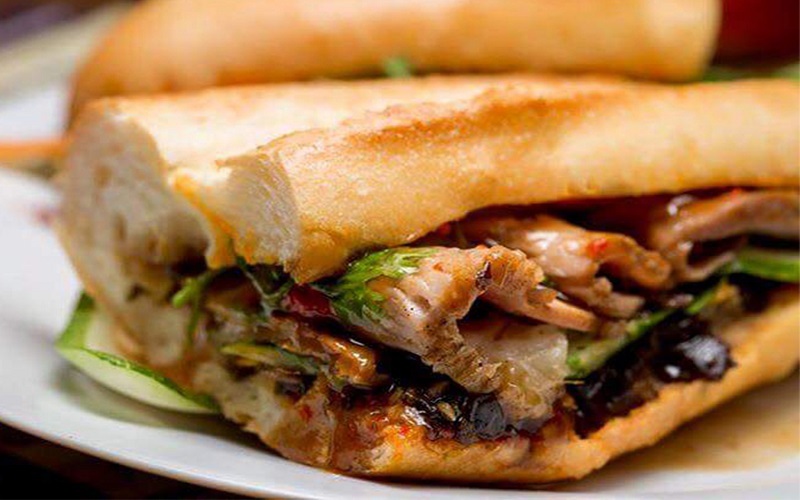 Vietnam’s iconic sandwich is rarely served in restaurants, but sold from bakery counters and street carts. The term (pronounced bun-mee) refers to the baguette itself; the sandwich is formally a banh mi thit pâté (thit = meat, pâté = pâté) or sometimes a banh mi thit nuong (thit nuong = grilled meat). In the classic version, the pâté—a rich, velvety, offal-y spread—is paired with smoky barbecued pork and/or some mortadella-like cold cuts. Atop that goes a slathering of mayonnaise, strips of pickled carrot and daikon, cucumber, chiles, a few sprigs of cilantro, and behold: the best sandwich ever. That’s what I used to think, anyway. 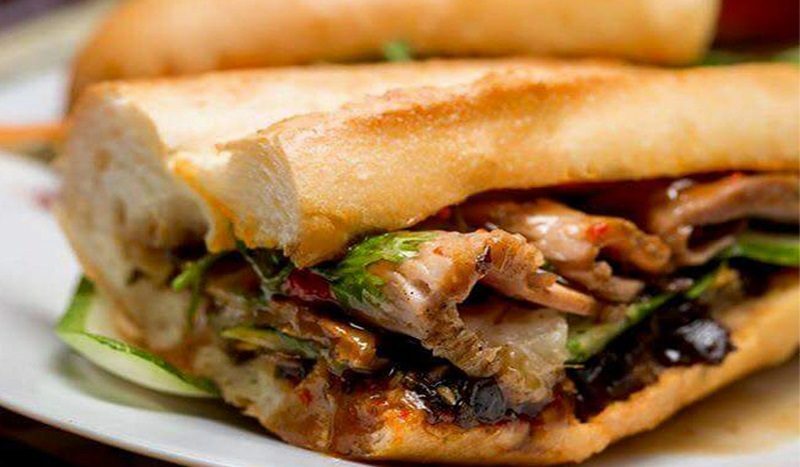 But no prior encounter could have prepared me for the marvel of Phuong Banh Mi, a sandwich stand on Hoang Dieu Street run by a young woman of the same name. I’d heard about Phuong from friends in Hanoi and Saigon. The concierge at the Nam Hai resort practically growled with hunger when I mentioned the place. Phuong’s banh mi is unique in that (a) she adds sliced tomato and hand-ground chili sauce, along with the standard trimmings; and (b) unlike in the South, where the baguettes are inflated to balloon-like proportions, Phuong’s are modestly sized, the bread-to-filling ratio spot-on. Come in the early morning or late afternoon (after the second baking) and the bread is still warm. Phuong wraps her creations in newspaper if you want them to go, but I devoured mine right there on the curb in about 47 seconds. It was unbefreakinglievable. Ahh, the South. Everything is hotter: the air, the chiles, the woks, the fashion. Beer is served with a big chunk of ice; it melts before you’re finished. Compared with the food up North, the dishes are generally lighter—the heat, again—and sweeter. (Southerners have a predilection for coconut milk, sugarcane, and saccharine desserts.) And while Northerners might call Southern cuisine unsophisticated, its origins are varied and complex. Unlike Hanoi, a more insular city whose identity is decidedly Vietnamese, Saigon has always had one foot in the outside world—just as the world has always had at least one foot in Saigon. Foreign influences are readily absorbed here, from the Indian and Malay flavors that inspired Southern-style ca ry (curry) to the Singaporean noodle shops now favored by Saigon teenagers. While the city evolves relentlessly around them, Saigon’s traditional street-food stalls provide a rare sense of continuity. High-rise hotels and IMAX theaters might shoot up next door, but the iconic sidewalk cook keeps plying her trade, unfazed. Case in point: Nguyen Thi Thanh, known as The Lunch Lady. 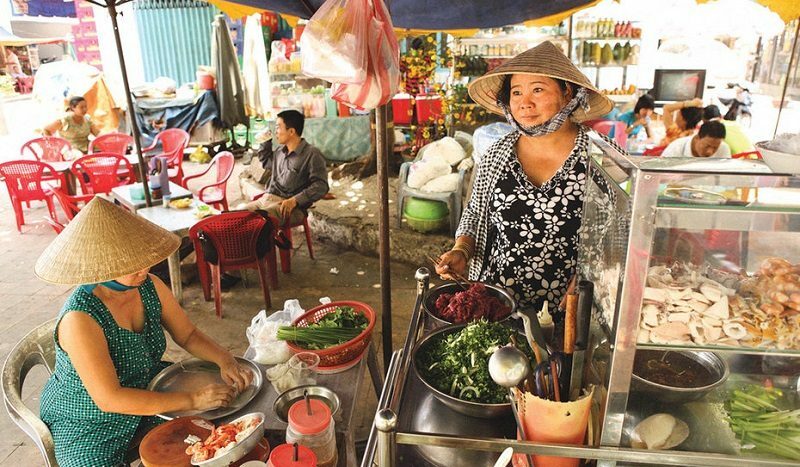 For 13 years, Monday through Saturday, she has set up shop on a patch of pavement on Hoang Sa Street near the zoo—working from 11 a.m. until she runs out of food, which happens quickly. Office workers, schoolkids, and lazy housewives queue up for whatever Lunch Lady is serving that day: usually noodles of some sort, invariably delicious. Wednesdays she often cooks up a knockout hu tieu, a Southern noodle soup laden with roasted sliced pork, prawns, peanuts, and soft-cooked quail eggs; the smoky broth is flavored with shallots and dried squid. It’s a family affair: from an adjacent stand, Lunch Lady’s cousin sells goi cuon, fresh summer rolls filled with sweet shrimp. Nearby, another relative blends ripe, fragrant tropical fruit into icy sinh to (smoothies). Fruit, in fact, might be the single best thing about eating here. 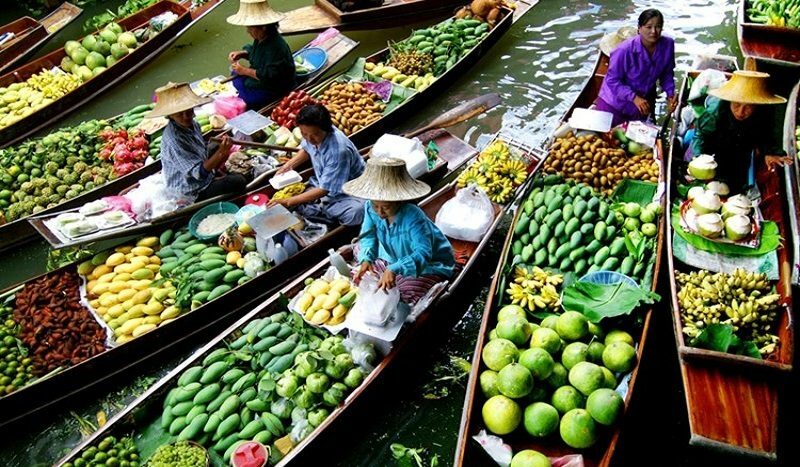 Saigon’s proximity to the Mekong Delta—which supplies fully half of Vietnam’s produce—means the city overflows with papaya, mango, coconut, jackfruit, soursop, and other exotic treats. Wildly colorful fruit stands are on every other corner, their artfulness rivaling the displays at Takashimaya. Even at Ben Thanh Market, where rapacious vendors sell watered-down food, the sinh to stands are uniformly fantastic. I’ve had few more refreshing drinks than the smoothie I tried at Ben Thanh one sultry 97-degree afternoon, made with sapodilla fruit and avocado. 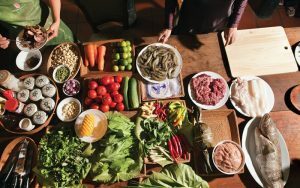 Hanoi may lay claim to its invention, but plenty of pho lovers (including myself) favor the Southern incarnation, which uses fresh herbs and raw greens for a broader range of textures. For years I’ve scoured the back alleys of Saigon, trying to find a better version than that served at Pho Hoa on Pasteur Street, but to no avail: this tour group–friendly institution really does serve the tastiest pho in town. To get the full experience you need to come early for breakfast, when the clientele is all Vietnamese. Pho tai nam is your order, with rare beef and well-done flank (recalling a thick-sliced pastrami). In genuine Southern style, dress it with bean sprouts, hoisin sauce, chili sauce, a squirt of lime, and leaves from the heaping platter of basil, sawtooth coriander, and rice-paddy herb, whose tiny leaves pack a cumin-like punch. Now it’s 7:15, and you’re ready for your first cup of coffee. Herbs and greens are also integral to a Saigon banh xeo (pronounced bun say-o, meaning “sizzling cake”). This rice-flour crêpe is reminiscent of an Indian dosa, but wider, and yellow with turmeric—bright as the sun and nearly as big. Guidebooks will send you to 46A Dinh Cong Trang, an alley-side joint in District 3. But a better version can be found at the newer Banh Xeo An La Ghien (loosely translated as “eat and be addicted”). Into an outsize wok the chef tosses a fistful of bean sprouts, pork, shrimp, and/or mushrooms, then pours in a slick of marigold-yellow batter, rich with coconut milk. The resulting crêpe is the size of a Monopoly board—so large it overwhelms the table, let alone the plate. Its crisp, lacy edges break off with a satisfying crackle, complementing the moist and savory fillings. The key elements, however, are the pile of fresh herbs to tuck inside the crêpe and the giant mustard leaves to wrap the thing in; their aroma and bite are as powerful as a jarful of Dijon. That all held true until, by some blissful accident this April, three friends and I stumbled upon the exception: 10-month-old Cuc Gach Quan (“the brick house”), owned by architect Tran Binh and his French-Vietnamese wife, Thai Tu-Tho. Binh acquired a derelict colonial mansion and reimagined it as an indoor-outdoor fantasia, blending historic details (antique armoires; a wall map of 1960’s Saigon) with contemporary touches (gorgeous lighting; a floating staircase) to create a strikingly romantic space—a gauzy, soft-focus realm that plays with one’s sense of time. Pre-1975 Vietnamese folk plays on a vintage reel-to-reel tape machine. A flowering cherry tree in the courtyard provides the fragrance. It was clear that every detail had been considered, from the handsome tin canister that held the chopsticks to the fresh juice service, with a stalk of morning glory for a straw. Yet nothing felt labored or pretentious. There was an ease and simplicity to the service and the food that belied the elegance of the setting. Most of all there was joy. And as Duy Khanh crooned a sweet nostalgic ballad on the reel-to-reel, we all felt entirely at home. Vietnam is at its best from October to April; the summer can be uncomfortably hot and often rainy. However, the climate varies from region to region, so consider local weather patterns if you’re visiting only one or two places. Fly to Hanoi or Ho Chi Minh City (Saigon); this usually involves a connection elsewhere in Asia (Hong Kong, Tokyo, Singapore, Seoul, Taipei). Vietnam Airlines (vietnamairlines.com) runs several daily flights between the two cities and from both of them to Hue and Da Nang (the closest airport to Hoi An). Great Value La Résidence Hotel & Spa Hue’s top choice, for its riverside location and Art Deco details. 5 Le Loi St., Hue; 84-54/383-7475; la-residence-hue.com; doubles from $146. Nam Hai The best—and best-looking—resort in Vietnam, 15 minutes outside Hoi An (by taxi or hotel shuttle), on Ha My beach. Hamlet 1, Dien Duong Village, Hoi An; 84-510/394-0000; thenamhai.com; villas from $750. Park Hyatt Saigon Central as can be, right on Lam Son Square, with superb service, an inviting pool deck, and the best buffet breakfast in town. 2 Lam Son Square, District 1, Saigon; 877/875-4658 or 84-8/3824-1234; park.hyatt.com; doubles from $290. Great Value Sofitel Legend Metropole Gorgeous 1901 colonial landmark with a fine new spa, good restaurants, and atmosphere galore. 15 Ngo Quyen St., Hoan Kiem District, Hanoi; 800/763-4835 or 84-4/3826-6919; sofitel.com; doubles from $250. Café Nang 6 Hang Bac St., Old Quarter; 84-4/3824-0459; coffee for two $1.25. Cha Ca Thanh Long 31 Duong Thanh, Old Quarter; 84-4/824-5115; lunch for two $12. Chau Long Market Corner of Chau Long and Nguyen Sts., Ba Dinh District; lunch for two $2. Hanoi Cooking Centre For a full-on immersion into the city’s food scene, take a market tour with Tracey Lister, the Australian expat who runs the center. 44 Chau Long St., Ba Dinh District; 84-4/3715-3277; hanoicookingcentre.com; cooking classes from $45. Pho Gia Truyen (a.k.a. Pho 49 Bat Dan) 49 Bat Dan St., Old Quarter; no phone; pho for two $2. Quan An Ngon 18 Phan Boi Chau, Hoan Kiem District; 84-4/3942-8162; dinner for two $20. Hoang Vien 22 Han Thuyen St. (inside the Citadel); 84-54/359-9779; dinner for two $30. Huyen Anh 52/1 Kim Long St.; 84-54/352-5655; lunch for two $2. Quan Cam 38 Tran Cao Van St.; 84-54/383-1671; bun bo for two $2. Hon Stall No. 9, Cua Dai Beach (off Lac Long Quan St.); 84-510/392-7272; lunch for two $7. Morning Glory 106 Nguyen Thai Hoc; 84-510/224-1555; dinner for two $30. Phuong Banh Mi Hoang Dieu St. (in front of the market, a block north of the bridge); no phone; banh mi for two $1. Banh Xeo An La Ghien 74 Suong Nguyet Anh St., District 1; 84-8/3833-0534; lunch for two $6. Ben Thanh Market Intersection of Le Loi and Tran Hung Dao Sts., District 1; smoothies for two $1. Cuc Gach Quan 10 Dang Tat, Tan Dinh Ward, District 1; 84-8/3848-0144; dinner for two $23. Nguyen Thi Thanh (The Lunch Lady) Street stall near 23 Hoang Sa St., District 1; no phone; lunch for two $2. Opera Park Hyatt Saigon, 2 Lam Son Square, District 1; 84-8/3520-2357; breakfast for two $40. Pho Hoa 260C Pasteur St., District 3; 84-8/829-7943; lunch for two $5. Quan An Ngon 160 Pasteur St., District 1; 84-8/3827-7131; dinner for two $16. Quan Thuy 94 84 Dinh Tien Hoang St, District 1; 84-8/910-1062; lunch for two $11. Vietnam is in constant flux these days—restaurants open and close every minute—so the Web is your best source for the latest food listings and reviews. Check out the blogs stickyrice.typepad.com (Hanoi), gastronomyblog.com (Saigon and beyond), and noodlepie.com (all over Vietnam, with a focus on Saigon), as well as Andrea Nguyen’s excellent site vietworldkitchen.com. Author’s note about street food: In Vietnam, some of the best local food is served at rough-and-tumble stalls spilling out onto the sidewalk. If a place is busy it’s almost certainly fine to eat there. (I have never gotten sick from food or drink in Vietnam.) That said, use common sense: don’t eat anywhere with slow turnover (this includes fancy-yet-empty restaurants) and ensure uncooked greens have been washed before eating. Drinking bottled water is advisable.